Most pellet stoves available on the market have a fan that blows the warm air from the stove and quickly conveys it throughout the room. Natural convection stoves do not have a fan though and they radiate heat in a natural way. Do you need some exmples? Here you have some, branded MCZ and Sergio Leoni. 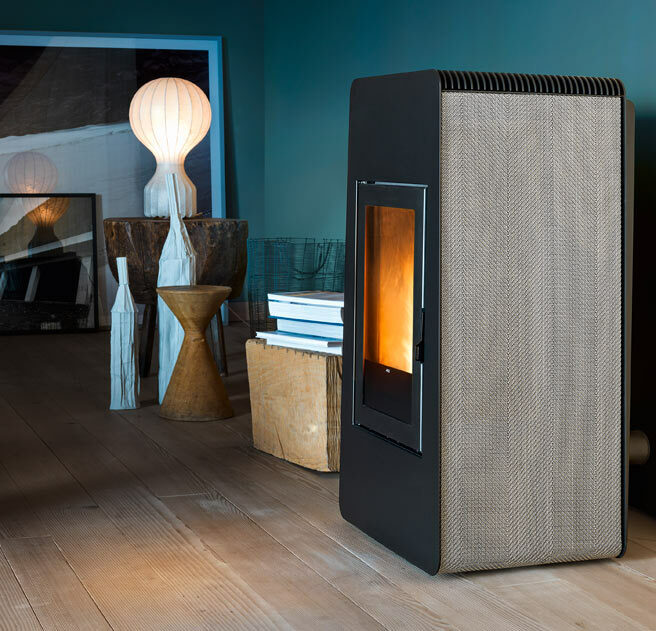 All models have a “perforated” structure for maximum heat exchange with the environment and a large, appealing flame, reminiscent of a wood-burning fire. SISSY P/N, branded Sergio Leoni again, always covered in artistic handcrafted ceramic, which is available in more than 20 colours. Now let's see the pros and cons of this kind of stove, which are perfect in some situations, but not quite in others. QUIET OPERATION. Since there is no fan inside, these products are, on average, much quieter than air stoves on the market. HEALTHIER AIR. As no air is being blown (or forced), these stoves do not move dust or bacteria and the air is not as dry. This ensures a more comfortable climate, especially if you have allergies. RADIANT HEAT. The stove radiates heat at 360 degrees, rather than having a single fan at the front. SLOWER HEATING. If there is no fan to push it, the heat propagates into the environment gradually. This is why, if the room is cold or not properly insulated, it can take some time to reach the desired temperature. HEAT DOES NOT TRAVEL FAR. 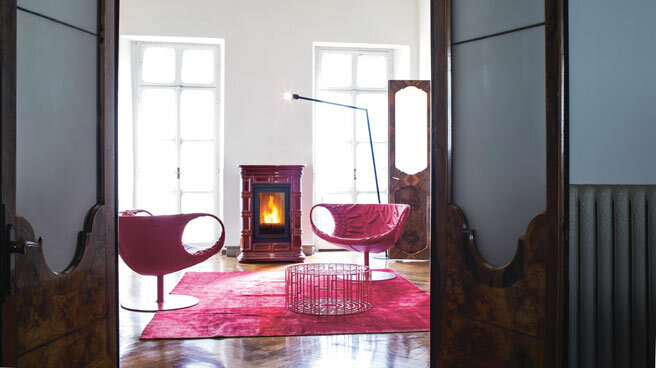 Natural convection stoves work like a traditional ceramic radiator. 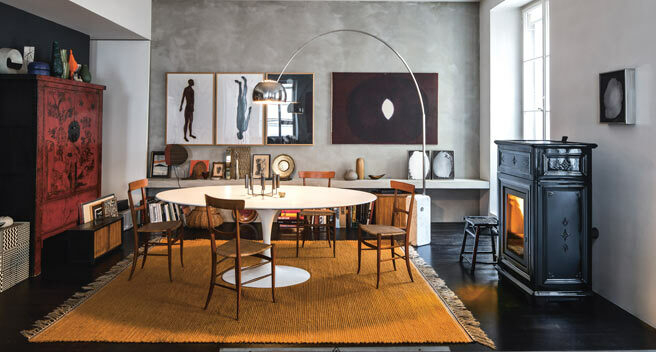 The heat produced is mostly felt near the stove and cannot be conveyed elsewhere, for instance to warm other rooms, which is an option with ducted stoves. WARMER OUTER SURFACES. As these stoves are designed to exchange as much heat as possible with the environment, on average, these stoves are "hotter" on the outside compared to other ones. you are thinking of leaving it on for at least a few hours during the day. It is probably not suitable if you are looking for a stove that can warm up the environment in a few minutes or if you want to use the heat produced in several rooms at the same time. Where can I see and buy the no-fan pellet stove in Canada ? @Pierre, MCZ official dealer in Canada is http://www.wittus.com/. You can surely ask them to have an offer.